Five Cloud Considerations for 2015 . A cloud partner with a process-driven approach will provide the most cost-effective solutions available. 2. “All public cloud" is usually not the answer. While public cloud technology may offer benefits in terms of cost and accessibility for specific workloads, it is not the best solution – especially for businesses with sensitive data or those in highly regulated industries. There are many workloads and applications that are more appropriate for an on-premises deployment to satisfy regulatory requirements or to meet a specific technology objective. For example, many legacy, line-of-business applications are not up to speed with the latest cloud technologies and therefore will perform better on-site rather than in the cloud. Working with a hybrid-cloud provider that understands how such technologies work in various environments (and can offer a strategy to integrate such applications efficiently), can save you time and headache. If your employees rely of applications like this, the public cloud isn’t the right solution for you. Additionally, most public cloud providers are not known for customer service. Many public clouds (such as Google, Amazon and Microsoft) only accept service requests via the web and rarely offer a direct phone number to a reach a live representative. It can be extremely frustrating when you can't access your network and don't know why. A local hybrid-cloud provider, such as Philadelphia-based IT Solutions, offers a cloud-based solution with a team of local and live support specialists to answer your call 24/7. 3. Hybrid cloud popularity will drive the involvement of cloud providers. 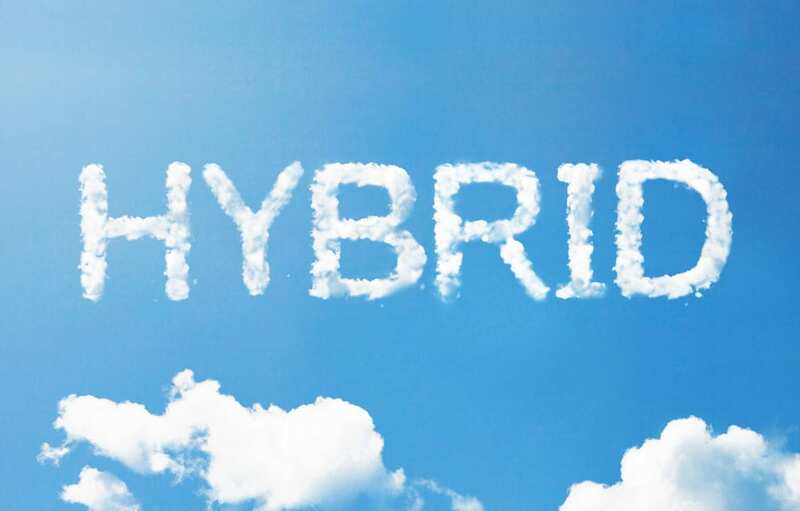 The hybrid cloud architecture is and will continue to be a fast-growing strategy that offers the benefits of cloud computing (high-speed connectivity, remote access, scalability, security, etc.) along with the best values of on-premises operations. When determining the right mix of cloud services and on-premises technology, businesses will need the guidance from a trusted partner that is knowledgeable about the options and capabilities of both environments. 4. Entrust your cloud provider as a strategic partner and support specialist. In 2015, CIOs will focus on how IT departments can market themselves more and raise their profile within the organization, helping to shift perception among fellow employees and the c-suite. As a result, the organization will gain a competitive edge through its technology leadership. Therefore, finding a cloud provider that offers the right level of support for your organization is important. Not only will cloud providers ensure a smoother migration through strategic transition planning, they will also be devoted to your company’s technology strategy well beyond an initial implementation and will ensure a positive, long-term cloud experience. 5. Fears over data security and proximity will continue to decrease. Many organizations and IT departments have hesitated to adopt the cloud out of fear of vulnerabilities and separation anxiety from their data. Moreover, increased security threats can contribute to hesitation about cloud adoption. A local cloud provider and the adoption of a hybrid cloud strategy will help to address and eliminate concerns over both data location and security. The ability to meet face-to-face with your cloud partner, knowing exactly where your data is stored, and documented proof of the security and compliance measures taken to keep your data safe are a few of the ways a local cloud provider can help to eliminate these feelings. The hybrid cloud model is becoming the go to solution in 2015 and more and more organizations will seek reliable cloud computing options. If you would like to better understand what is involved in moving your network to the cloud and the different cloud options available, contact your VCIO or call IT Solutions at 1.866.Pick.ITS. The cloud, once hyped as the latest technology trend, is now considered an essential IT system component. Rather than cloud adoption being an “if” conversation, it has shifted to a matter of when and how. Successful cloud adoption still relies on strategic decision making and the ongoing management of such operations. In 2015, your IT provider should play an important role in strategic planning and guide your business into the cloud with ease. 1. Technology agnostic cloud providers will become more affordable. More companies will transition to the cloud, which will become easier and more affordable than ever before. Cloud providers with heterogeneous (or hybrid) data centers can accommodate a variety of technologies rather than aligning with just one vendor. Ability to weigh your options based on your organizational needs and to leverage familiar technologies will help keep costs down. Additionally, Disaster Recovery (DR) and Business Continuity (BC) will become more affordable as many managed service providers are now coupling these services in for a nominal fee. Cloud providers will play a vital role in determining the most affordable and logical step to a cloud transition. A cloud partner with a process-driven approach will provide the most cost-effective solutions available.